The new #PetTheftReform petition targets the Animal Welfare Act – it also allows the public to show their support for Ross Thomson’s #PetsTheftBill. The second reading keeps getting postponed and won’t be read again in the House of Commons for some time. 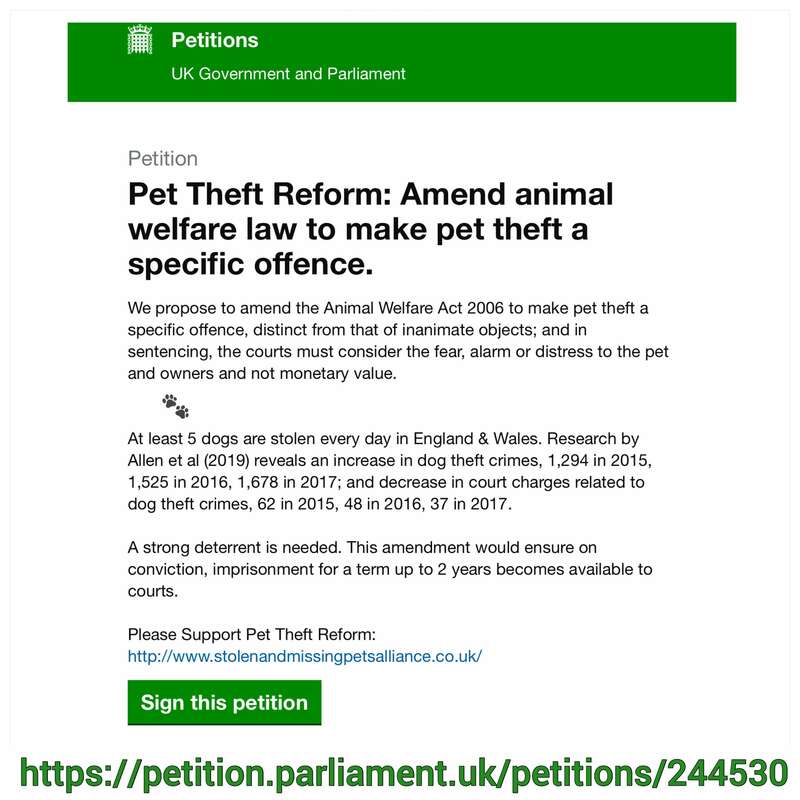 The old #PetTheftPetition targeted the Theft Act. The debate led to the government agreeing sentencing should be stricter, but the sentencing council won’t reclassify at this stage, and as we’ve seen recently fines and community orders are commonly being handed down in courts. If we can add pet theft to the Animal Welfare Act (where sentencing will soon increase), the courts have more ways of giving tougher sentences.